A few days ago I was reading an article in the Atlantic magazine entitled “Making it in America.” The article truly highlighted for me one of the big the reasons why we need a new FHS. It describes the tremendous changes to the American economy that have taken place in the last 22 years and does so through the eyes of a manufacturing plant and its employees in Greenville, SC. It talks about how Factories have outsourced and replaced millions of workers with machines. It is a compelling pace and speaks to how we as Americans will need to adapt to the new economy. A historical chart of U.S. manufacturing employment shows steady growth from the end of the Depression until the 1980’s. Then things stay largely flat until about 1999. After that, the numbers simply collapse. In the 10 years ending in 2009, factories shed workers so fast that they erased almost all the gains of the previous 70 years; roughly one out of every three manufacturing jobs—about 6 million in total—disappeared. About as many people work in manufacturing now as did at the end of the Depression, even though the American population is more than twice as large today. Across America, many factory floors look radically different than they did 20 years ago: far fewer people, far more high-tech machines, and entirely different demands on the workers who remain. And what does this have to do with Franklin High. It has much to do with it and here’s why. What we need today is a more educated workforce that can talk to the machines, robots and computers. What we need today is a facility that will be able to teach math and science in a 21st century environment. And what we need is a facility that will accomodate our growing arts, sports, and technological programs. The proposed facility meets the needs of the students and the community in all of those regards, and addresses what is necessary to make it in America today. There are volumes of research which demonstrate that better buildings make better students, and that’s the piece that is missing at FHS today. 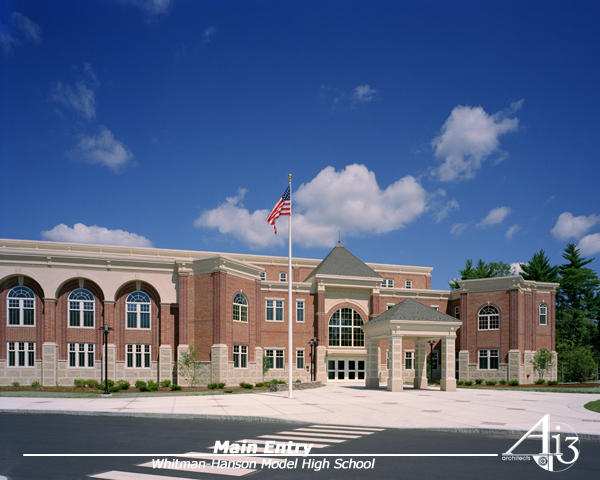 We started working on a new FHS at the School Committee in the spring of 2005 after being placed on warning for accreditation by NEASC solely because of this building. We asked for a feasibility study. The feasibility study addressed those concerns. Many have talked about the structural deficits in the building so I won’t repeat them here. I’ll just say that I am happy to be sitting here as a Town Councilor 7 years later on the verge of seeking approval from the citizens of the community for a project of this stature that will finally address those issues. The education we provide in Franklin speaks to the values of our community. Over the last 15 years, our school system has been working to become one of the best in the state. We have talked in recent years about moving from good to great. From kindergarten to grade 8, we have constructed state of the art facilities to bring the best to our students and the community. It has worked and our students have flourished. It is time for us to complete this work and deliver a state of the art high school to bring our entire program into the 21st century. We have a lot of great people — staff and students — in there. If we give them a new building, they will not only take us off the accreditation warning list, but it will catapult us to a new level. Franklin is the birthplace of Horace Mann. He would be proud of the things we have done with public education in his birthplace. In Franklin, we have the first public library and from the very origins of this town, we have believed that sense is preferable to sound. We have always valued education and this building is consistent with our mission, vision and values. So, for the reasons set forth by my fellow councilors, from the big picture perspective on what this flagship will do for Franklin, and based upon by background and experience with this project as a citizen, school committee member and town councilor, I urge positive action by the the community on March 27, 2012. You can view the Atlantic magazine article referred to above by clicking here. You can get detailed information on the new FHS project by clicking here.